The warm, long days of July and August are a near memory that we reflect upon it with a mix of nostalgia and gratitude for any time-off spent with family and friends, for opportunities to relax and refocus, and for us at TQM Wealth Partners, the joy of hard work. Building a firm that offers our clients financial life and legacy plans geared at protecting their financial wealth, while further enriching their human, intellectual, and spiritual wealth is our labor of love and knowledge. We bid the summer adieu. 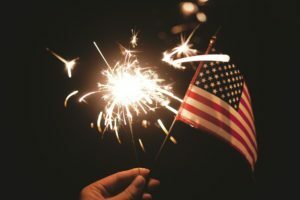 Marking this farewell and transition into a busier time of our lives is, Labor Day, a holiday intended to commemorate the American labor force as the crux of our nation. TQM Wealth Partners wants to thank you for continually cultivating the American Dream through your hard work and dedication. Your financial gains and accomplishments are the result of your own labors of love and knowledge. Your financial life plans and investment portfolios are managed, monitored and analyzed with close attention to help you continue building upon your financial foundation and legacy. You are a part of the great labor force that built this nation in response to the American Dream – a dream that was born in the hearts of our ancestors who painstakingly harvested the hardscrabble soil of the frontier, and toiled daily in factories throughout the Industrial Revolution. Dreams are often the inadvertent results of emotional revolt, and so in some sense, we have arrived on the shoulders of the Industrial Revolution. The Industrial Revolution was an integral moment in American history. It was the building of the grand machine that out-produced and out-worked most of its international competition. It was a global race for innovation, power and dominance. But just like any machine, if not maintained, wear and tear becomes its demise. And so it was; the labor force, the gears driving the machine, became fatigued, misused and misrepresented. Harsh working conditions, 80+ hour work weeks, and subpar compensations, unleashed several riots across the nation, demanding renegotiation of hours and pay. On September 5, 1882, thousands of workers took to the streets to hold the very first Labor Day parade. Over a century from the foundation of this industrial leviathan, we now find ourselves riding on the back of a new revolutionary giant. What we are now experiencing is called the Knowledge Revolution. This grand-scale paradigm shift sees the creation and utility of knowledge as paramount to social progress. Data, financial transactions, population shifts, market fluctuation are all attributed to the Knowledge Revolution, something never encountered in an industrial society. This revolution is the “overthrow of matter” according to George Gilder. We see this as a ripe opportunity to advantageously position you as our client to invest and transfer more than just your financial assets over multiple generations. Through TQM’s Family Wealth program, we guide you through a process that helps you transfer all that you’ve worked so hard for in a way that will honor and recognize your family’s beliefs, traditions, and wishes in order to reap spiritual, intellectual, and economic dividends over multiple generations. The Fed’s next meeting is scheduled for September 20th and 21st. A lot can happen in the eighteen days between the August non-farm payroll report and the Fed meeting, or nothing at all. We are not ones to speculate. We focus on your financial life and legacy plans as we invest on your behalf, in order to maintain your lifestyle and pursuit of your dreams. With a comprehensive view, we take data and work with it to make adjustments that will contribute to your success. We execute on your behalf with total quality and care, using their plan as the benchmark. We look forward to this next quarter, and as always, we value our relationship, and are delighted in helping you foster an abundant and prosperous future. Have a great Labor Day weekend from your Financial Life and Legacy Partners!